Stand right in the birthplace of your beloved movies and TV shows! 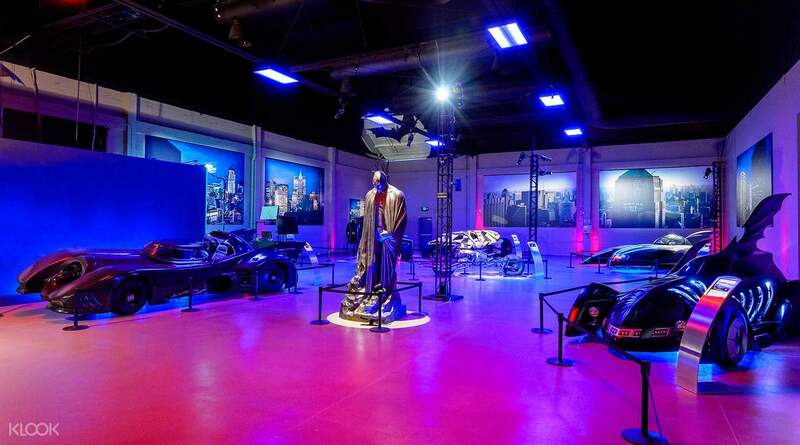 See all the Batmobiles used in the Batman film series as they're exhibited for a limited time only! An English speaking guide will fill you in on some of the most thrilling Hollywood facts! experience with Warner brothers studio tour was good. well organised tour and great exploration with the movies or sitcom setting. worth the visit. jus need to remember to book your alot with klook booking num or they call it the GO LA card which actually meant the QR code before visiting the place. have fun ! 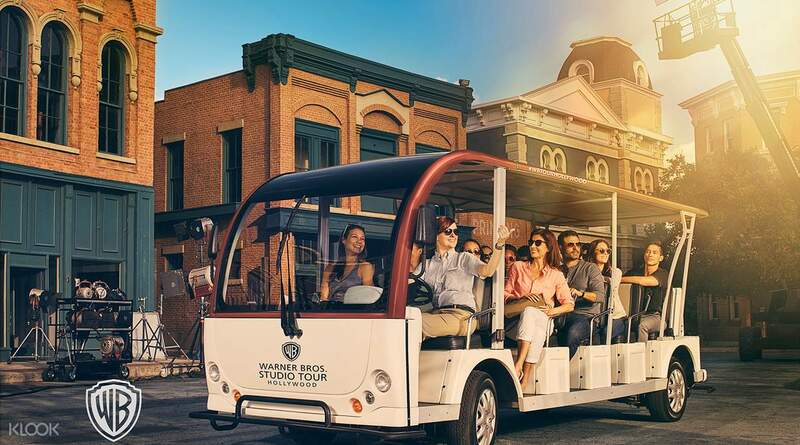 This is the chance to live out a dream: a day tour of the most famous movie studios in the world right in Hollywood! The Warner Bros. Studio Tour will take you to see where movie and TV magic is made. You will head to the backlots and soundstages of some of the world's most famous blockbusters and TV shows. You can even step into the world of the famous TV series 'Friends' and enter the actual Central Perk set, getting the chance to re-enact some of its most famous scenes at Stage 48. 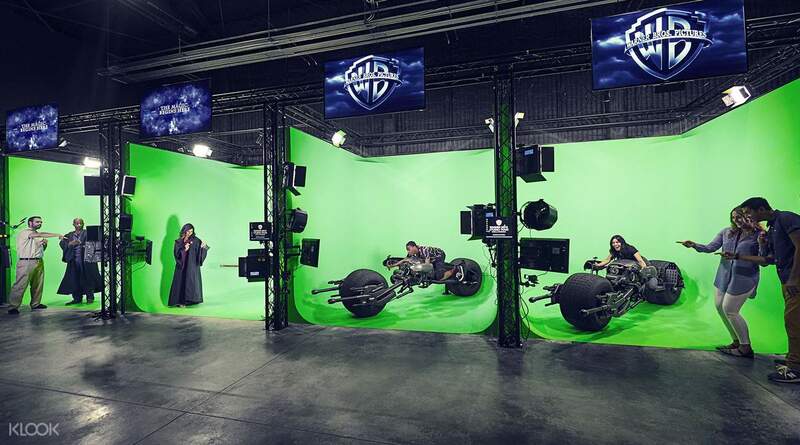 Take a look behind the scenes and see how the greenscreen works as you hop on a broom and fly like Harry Potter. 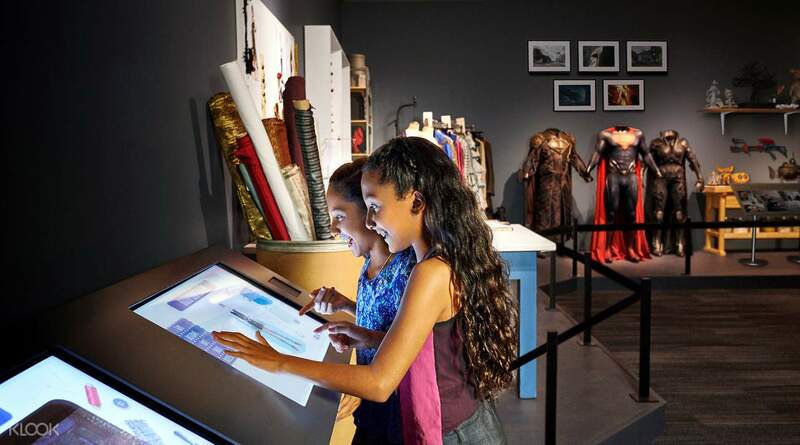 You'll even get the chance to visit 'DC Universe: The Exhibit' where you'll see costumes and props from the famous DC franchise films, particularly every single Batmobile that has ever been used! The Prop Department is another amazing stop where you'll get to see props and items from some of the world's most famous movies! This is the ultimate dream tour for any movie buff. 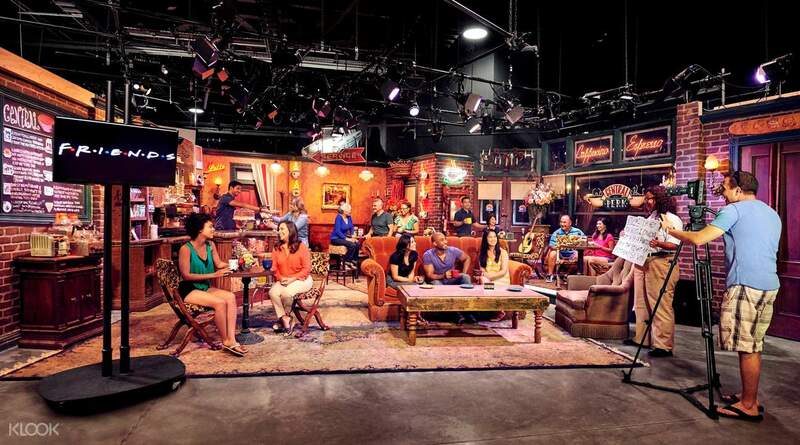 Step into the world of Friends and re-enact a scene from the iconic Central Perk soundstage! See the amazing DC Universe exhibit and see props and costumes from the DC Cinematic Universe! This is the ultimate studio tour for any movie buff! Please be advised: A reservation is essential. Thought the tour was only going to take an hour. It's actually a 2-hour guided tour, with the latter part being a self-guided one so you can take as much time as you want. The guided tour is very informative. There's a lot to learn about whag's behind the camera. Note that the Friends set and Central Perk Cafe are at the self-guided tour. Totally worth it! Thought the tour was only going to take an hour. It's actually a 2-hour guided tour, with the latter part being a self-guided one so you can take as much time as you want. The guided tour is very informative. There's a lot to learn about whag's behind the camera. Note that the Friends set and Central Perk Cafe are at the self-guided tour. Totally worth it! Easy redemption. Very informative tour and exciting to know how and where the movies/tv shows where made. Easy redemption. Very informative tour and exciting to know how and where the movies/tv shows where made. loving every bit of the tour! It's also quick and convenient and no need for lines. loving every bit of the tour! It's also quick and convenient and no need for lines. Klook is awesome! It provided me convenient access to Warner Brothers Studio. The experience was amazing and I really enjoyed it. The tour guides were friendly and staff were helpful and accommodating. Me and my family would love to visit again. Klook is awesome! It provided me convenient access to Warner Brothers Studio. The experience was amazing and I really enjoyed it. The tour guides were friendly and staff were helpful and accommodating. Me and my family would love to visit again. A little bit boring though. Although there are some moments that are quite fun by looking at the housing area that are used for shooting is the same for several movies and also seeing the bat mobiles. I'm a big fan of friends, so it is excited to see some of tha stage location and also the cafe. My son is a big fan of batman and thus he really happy seeing the batmobile. We also went to ellen stage and big bag theory. Also see some harry potter ornament and the sorting hat. Too bad also that it was raining that day. A little bit boring though. Although there are some moments that are quite fun by looking at the housing area that are used for shooting is the same for several movies and also seeing the bat mobiles. I'm a big fan of friends, so it is excited to see some of tha stage location and also the cafe. My son is a big fan of batman and thus he really happy seeing the batmobile. We also went to ellen stage and big bag theory. Also see some harry potter ornament and the sorting hat. Too bad also that it was raining that day. The Friends set photo session made it all worthwhile. You can also “act” in a short Friends scene which was great. Would have been better if they shared the video to the participant. The Harry Potter exhibit was good too. The Friends set photo session made it all worthwhile. You can also “act” in a short Friends scene which was great. Would have been better if they shared the video to the participant. The Harry Potter exhibit was good too. experience with Warner brothers studio tour was good. well organised tour and great exploration with the movies or sitcom setting. worth the visit. jus need to remember to book your alot with klook booking num or they call it the GO LA card which actually meant the QR code before visiting the place. have fun ! experience with Warner brothers studio tour was good. well organised tour and great exploration with the movies or sitcom setting. worth the visit. jus need to remember to book your alot with klook booking num or they call it the GO LA card which actually meant the QR code before visiting the place. have fun ! Amazing experience. Would definitely recommend people to visit it at least once. The staff were really friendly and informative. Amazing experience. Would definitely recommend people to visit it at least once. The staff were really friendly and informative. We are finally here at Warner Bros. Studio Tour! We hope we can meet Ellen. The environment here is very comfortable and cooling. The parking here is relatively great with awesome help from staff. I look forward to visit here again with my friends and family! We are finally here at Warner Bros. Studio Tour! We hope we can meet Ellen. The environment here is very comfortable and cooling. The parking here is relatively great with awesome help from staff. I look forward to visit here again with my friends and family!